The NZSSRA has a number of trophies for awarding at regattas; particularly at Maadi (National Champs). These are listed below. For information about donating trophies see Regulation 19 of the NZSSRA Regulations. Awarded at: Maadi (National Champs) for the Girls under-17 eight. Full event results available for: 2003, 2004, 2005, 2006, 2007, 2008, 2009, 2010, 2011, 2012, 2013. These trophies are awarded to individuals, not members, but are awarded at the Maadi (National Champs) regatta. Awarded to the coxswain that coxes the most boats into the 'A' finals of the Championships. In the case of a draw U15 events shall carry more points than U16. U16 more than U17 etc. Awarded to the coach of the winning crew of the Boys Under-18 Eight at Maadi (Maadi Cup event). Awarded by RowingNZ to the Junior coach of the year. 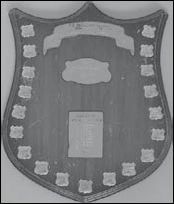 As our resources increase we will endeavour to make the history of each NZSSRA trophy available. Hopefully, with the cooperation of the rowing community and schools we will also be able to complement the trophy histories with rolls of the winning schools and perhaps even the names of the winning crews. If you have any information regarding the history of any of the trophies (including winning schools/crews) please email it to [email protected]. Thank you. For information about donating trophies see Regulation 19.